Sam Dee is a an improviser, writer and actor in Cleveland who runs the comedy advice show Share-apy, Improv Death Match & is a member of the improv troupe Casually Late Stampede. The first 3 years of her comedy career were spent doing stand-up before discovering the magic of improv. Deena Nyer Mendlowitz invited her to a practice and the rest is history! Sam has been featured on NPR, Cleveland.com, Cleveland Magazine, Canvas Magazine, The Nestival & has traveled the U.S. performing comedy. Find her on instagram and twitter: @areyoumynewdad especially if you want to talk about big budget TV dramas or comics! 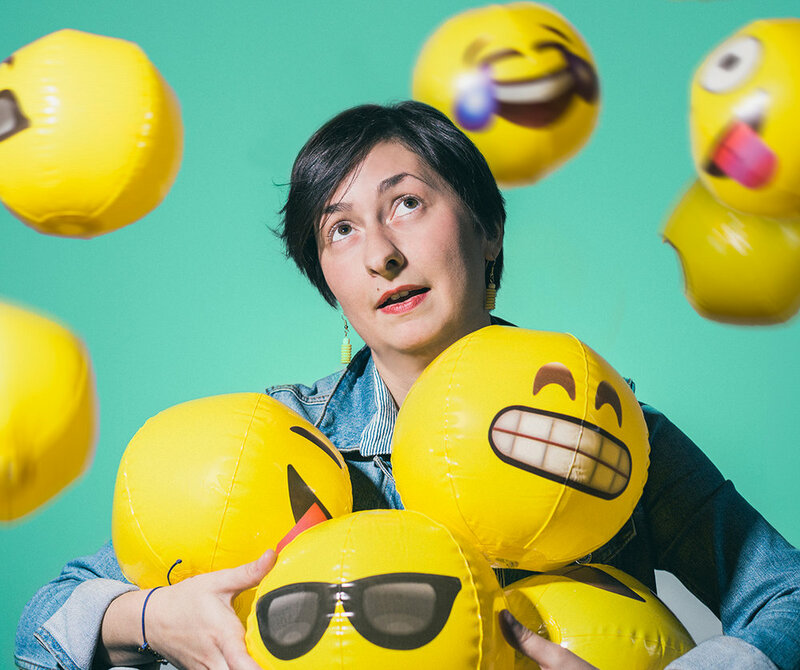 Deena Nyer Mendlowitz is a comedian and improviser who trained at The Second City Cleveland and at both The Second City and Annoyance Theater in Chicago. Creator of Mental Illness and Friends A Live Comedy Talk Show, This Improvised Life a part improvised, part written story-telling hour& writer of a one-woman show, a comedy about living with mental illness and suicidal thoughts called Funnel Cakes Not Included. She has been featured on Ideastream, Cleveland.com, Canvas, NPR, FOX 8, In the Land of Cleve, Miami University & New Scientist Magazine. She is also a co-creator of the first annual Mass Hysteria - Comedy Fest! Dana Norris is the founder of Story Club, a monthly storytelling show in Cleveland, Chicago, Boston, Columbus, and Minneapolis. She has taught at Northwestern University, Kent State, Literary Cleveland, and Ashland University, among many others. She has been published in McSweeney's Internet Tendency, The Rumpus, the Tampa Review, and her stories have been featured on Risk!, WCPN, and Chicago Public Radio. 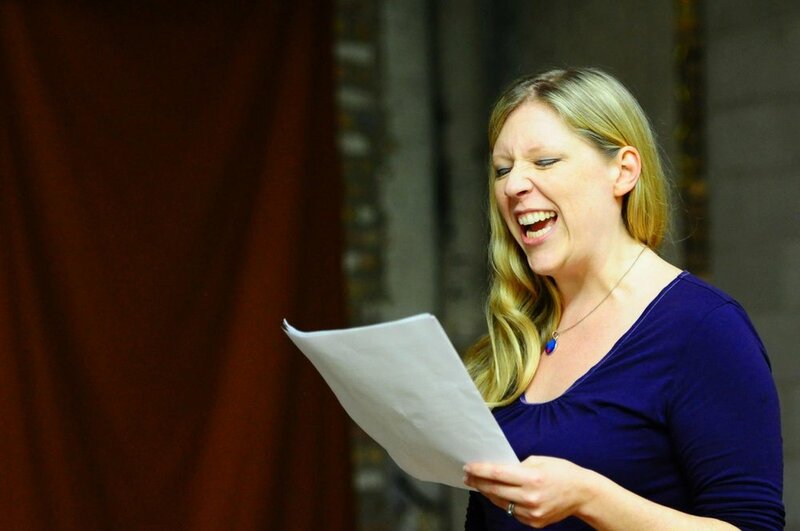 Writer, storyteller, theatre artist, improviser and comedienne. That’s a lot which makes her pretty much a badass. Dionne has been seen on Story Club Cleveland, Talespinner Children’s Theater, This Improvised Life, and Cleveland Public Theatre. In an interview with NPR, she talked about her recurring segment on Mental Illness and Friends ‘For Real Tho where she talks about her trials and tribulations with bipolar disorder while talking sh*t about pop culture and random observations of life. She runs her comedy show ‘No Fucks Given’ every month at the Tarrymore Inn. Dionne thanks her mother for loving and raising her to never stop learning, always to ask questions and for forgiving her when she does cuss too much. Bu,t also, instilling in her to take no mess from nobody. Keep loving not hating.